The last two decades have seen a good deal of work in educational linguistics, which has created a deeper understanding of how language works in different varieties of discourse and what a teacher needs to know for engaging successfully in language education. In this sense, the focus has been largely on instructional discourse – i.e., what is to be taught. The chapters of this book attempt to widen the field by focussing on who is being taught. After all, the true active element in the processes of education is the learner. Children have already acquired specific ways of learning, long before they enter the classroom, and in pluralistic societies learning styles vary systematically across communities. 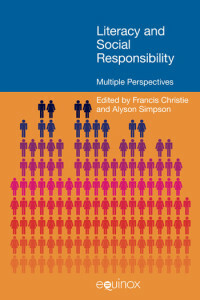 This book argues on the one hand the need to attend to the different voices in the classroom, and on the other to encourage an attitude of enquiry which creates awareness of the power of discourse in maintaining and/or changing societies. Let me begin by very warmly thanking the organizers of the Society of Pakistan English Language Teachers (spelt) International Congress for inviting me to speak here today. This occasion is indeed special1. We are celebrating two decades of the Society’s life during which it has distinguished itself by introducing innovations and improvements in language teaching and learning across the country. Indeed the theme of the present conference – Teaching Learning, Learning Teaching – sums up the Society’s quest well. So, special congratulations are in order on this special occasion. But this situation is somewhat problematic for me: I have come here planning to speak On the process of teaching, which seems something like bringing coals to Newcastle. I assure you I gave the matter serious thought – but I have decided to hang on to my title for one good reason – a reason that makes sense in the context of this special occasion. This paper attempts an analysis of the asymmetry between teaching and learning, in order to suggest some elements of a possible solution. Discourse on knowledge – its ontogenesis, maintenance and change – is fraught with challenge not only because so many diverse issues surround the concept pressing urgently for attention, but also because the issues themselves are so complex due to being closely woven into the politicoeconomic fabric of human existence. The problem I want to explore in this paper1 is whether the pedagogic practices of literacy in the classroom can be co-opted for bringing about social change of a specific kind, which in turn will raise questions about what change and why. 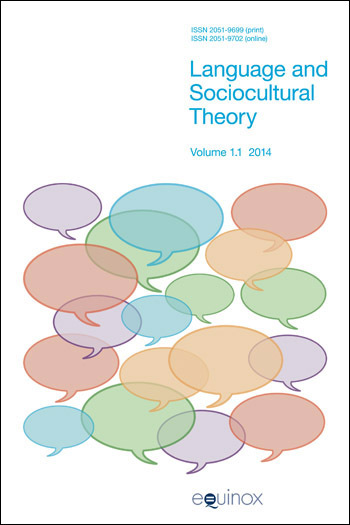 The obvious sociological theory to which such issues can be usefully brought is Bernstein’s – but it needs to be added that I do so not as a sociologist manqué but as a linguist interested in understanding society because society is the condition for the maintenance and evolution of language. The aim of this paper is to explore the relationship between socialization and cross-cultural education, with particular reference to the Indo-Pakistani Sub-continent and England. This paper1 makes an attempt to bring together ideas from different disciplines, ideas which are relevant to teaching in general, and therefore to second language teaching as well. As a domain of academic enterprise, applied linguistics has had more than its fair share of approaches. Each new approach is presented as the solution to some major problem encountered in its practice; each approach promises to shore up its theoretical foundations. As the title suggests my presentation1 is concerned with what, speaking generally, might be described as temporal expressions, or how time is construed linguistically.2 The presentation has two foci: first, the aim is to focus on temporal expressions in English primarily because it seems likely that such a discussion might be of some use in the business of teaching and learning English as a second or foreign language (ESL/EFL). Secondly, my concern is also with certain general issues: in fact I would like to open this talk with a brief discussion about the nature of human language. Now, I have a feeling that while discussing some features of the English language would be readily recognized as relevant to the teaching and learning of esl/efl, the relevance of the second issue might not appear obvious. It may be useful then to begin with a few words concerning why an understanding of the nature of human language is relevant to the teaching of language, whether the language being taught is a mother tongue or an other tongue. 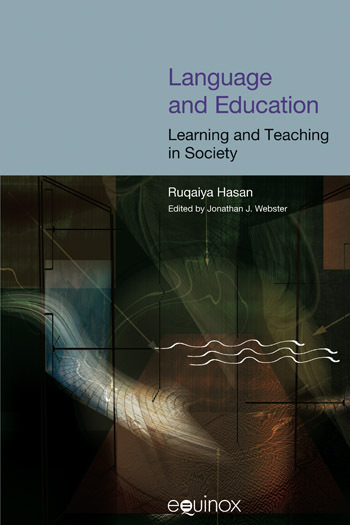 The well-deserved reputation of systemic-functional linguistics as the most education-friendly theoretical paradigm for language analysis is intricately interwoven with and supported by the life-long work of Ruqaiya Hasan. In this third volume of her collected works, readers will have the intellectual pleasure of encountering the astounding breadth of knowledge and spiritedness of commitments she brings to the learning and teaching of languages understood as a social-semiotic process of meaning-making. Whatever their own role in language and education, under her expert guidance they will reaffirm the central position that learning a language – both mother tongue and other tongue – has for socialization into local and global communities and for the many-faceted processes of individual and societal literacies that mark the contemporary world. This volume is an essential addition to any library collection focusing on the field of linguistics and education.